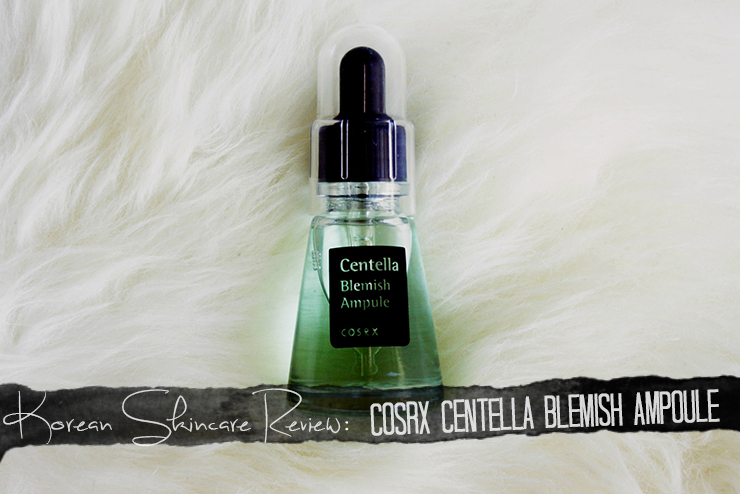 I was very excited to see one of their newest products, the Centella Blemish Ampoule that wasn't even available online outside of Korea yet. I have never tried any product with Centella Asiatica Leaf Water so I was genuinely curious what it could do for my skin. 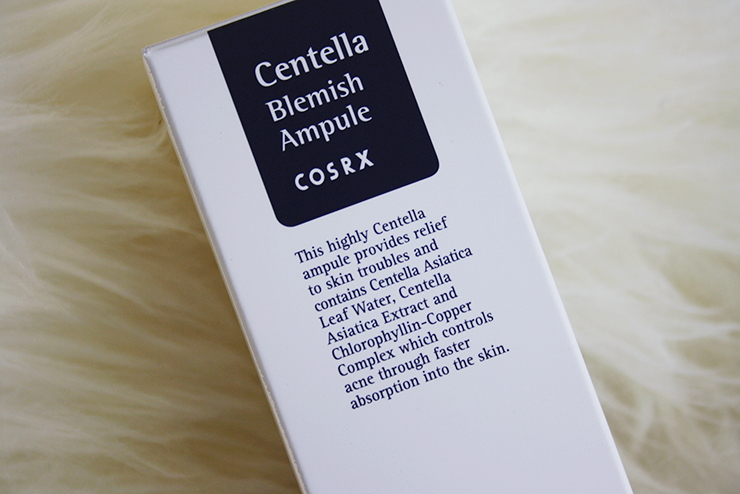 "Centella Blemish Ampule is designed specifically for the sensitive and troubled skin. By containing the centella asiatica leaf water, it alleviates the skin trouble while relieving stress. It forms a natural skin protection layer by normalizing the sebum production. When absorbed to the oil gland, Centella Blemish Ampule offers the refreshing atmosphere while controlling any overproduced sebum. 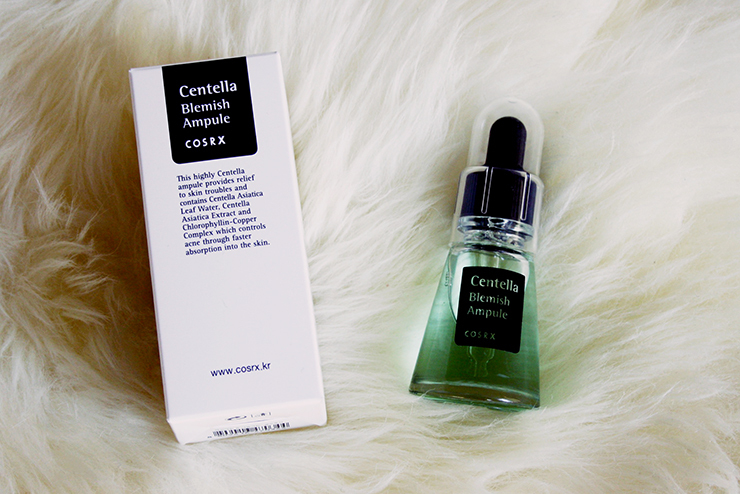 Centella Blemish Ampule removes dirt in your pores and eliminates excessive dead skin cells. By providing hydration, the ampule softens the skins texture. You can expect an immediate effect after applying to any trouble spots." So, let's have a closer look into the ingredients. 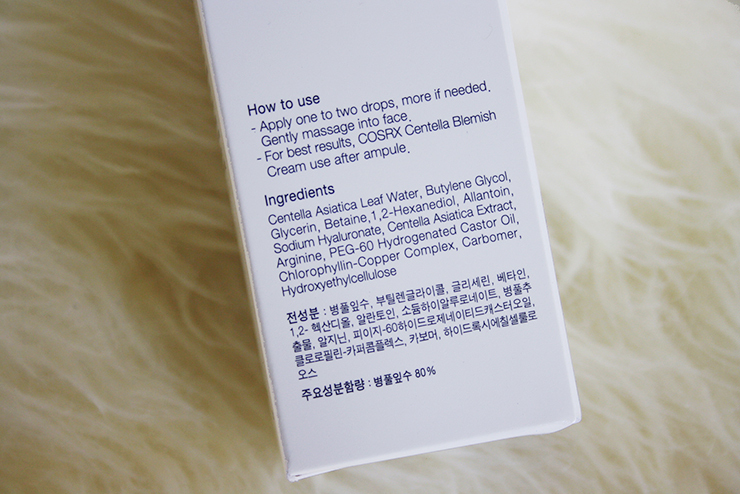 Centella Asiatica Leaf Water: The main ingredient that is advertised on the ampoule is actually spelled first in the ingredient list, yay! I have seen so many products advertise with "X" and then barely found any trace of it on the ingredients list that this alone is already a plus. But what exactly is Centella Water? Very close to the name, the water is a liquid formula from the leaves of a plant named Centella Asiatica. It's not uncommon in cosmetics but hardly advertised as the main ingredient. Its an anti-inflammatory plant extract and its main function is to smoothen and moisturize the skin. A quick look at Cosdna reveals that the only possible irritant in this formula is Butylene Glycol and even that gets only "1" out of "5" for triggering acne. I have very acne-prone skin (although not very sensitive) so I was relieved to see that there are no main acne triggers prevalent here - and boy, believe me, just because something is advertised against blemishes does not mean it has to be a good/gentle or even non-comedogenic formula. Sadly. The liquid itself is quite viscous yet easy to spread. I usually use 2-3 drops twice daily before my last moisturizing step. What I noticed after application was that my skin was SO INCREDIBLY SOFT. I think it's not an overstatement that the Centella extract is able to smoothen the skin - I never had such baby soft skin in my whole life! I really love how it feels; kind of refreshing and probably great for summer. I cannot really pinpoint the scent as it is very subtle and barely noticeable - maybe imagine almost scentless bamboo? I prefer this over heavily scented products and over perfume on the ingredients list. It was a nice addition to my daily routine - although my skin is quite oily, it absorbed within seconds and didn't leave me greasy at all. As for blemishes, I did not break out from this - yay! However, I did not notice any major improvements in my blemishes while using it along with my daily routine - but I also didn't get more blemishes, which is always a plus already. I would say it is a nice addition, especially for oily skinned-people who always have a hard time finding essences that don't leave us more greasy than when we started, but not a must-have. I only wish they would sell this in a bigger size because 20ml lasts me only about a month with daily usage twice - considering that I have to purchase this internationally and then wait about ~3 weeks for my package to arrive. Have you tried (and loved?) any of COSRX products? 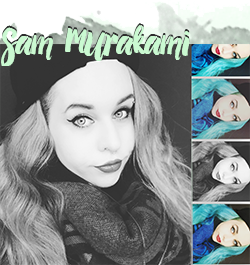 :) Let me know in the comments! Also, if you have any questions, feel free to drop me a mail or comment down here. Thanks for reading and have a nice weekend!